Leather Shoulder Strap cream with tangerine stitching. A replacement strap for your handbag. 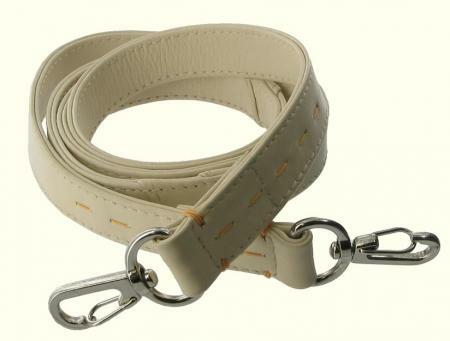 Available in Cream with contrasting tangerine stitching.This strap is a fixed length of 42.5" (108 cms)and 3/4" (19mm) wide. The strap is easily fitted with chrome "dog clip" fittings and is made of top quality leather.